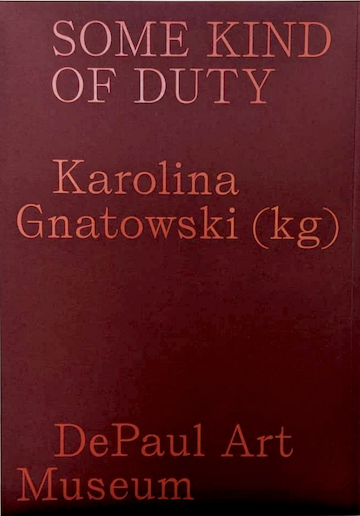 Join DPAM for the launch of the exhibition catalog for Karolina Gnatowski: Some Kind of Duty. All are welcome to attend and are encouraged to contribute a dish for sharing. Madeleine Aguilar will perform a selection of songs on guitar and artist kg will conduct a reading and sign books. Stan Shellabarger and Dutes Miller will continue their 15 year performance project Untitled (Pink Tube) in DPAM’s galleries and public spaces. Untitled (pink tube) began in 2003 when Miller & Shellabrger created a chain of pink yarn into a circle. The artists simultaneously crochet opposite ends of a pink tube, poignantly exploring themes of intimacy, craft, labor, and gender through an ordinary gesture. The piece is performed always is in public and always together. 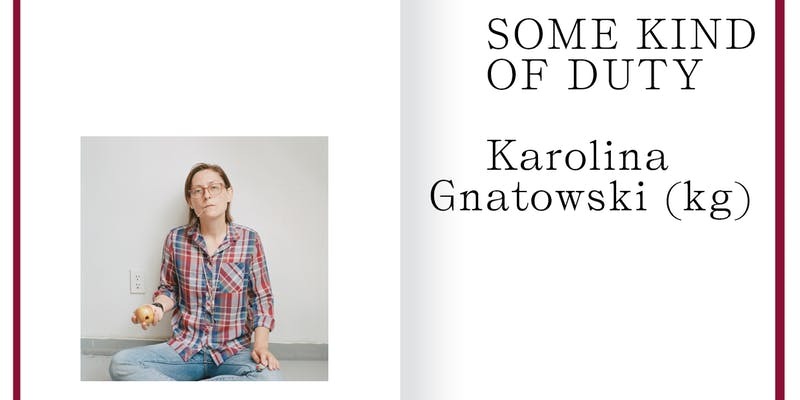 DPAM Director and Chief Curator Julie Rodrigues Widholm will lead a guided tour through Karolina Gnatowski: Some Kind of Duty and Betsy Odom: Butchcraft. Chicago-based artist and activist Shannon Downey will lead a stitching workshop for visitors to create 12 x12 fabric squares using embroidery, cross-stitch, or other media to tell their personal stories. The workshop includes an introduction to craftivism and the global craftivism project Badass HERstory. Participants of all skill levels are encouraged to attend. This event is best suited for visitors ages 10 and up. The performance duo Princess, comprised of Alexis Gideon and Michael O'Neil (JD Samson & MEN), use music as the backbone of a multi-disciplinary practice that often explores issues of queerness and the concept of masculinity. Simultaneously gay, straight, queer, masculine, and feminine, Princess embodies the fluidity and coherence between the seemingly contradictory. Out There is a concept video album and live performance that explores the role men ought to be playing during the current cultural reckoning of misogyny. According the artists, the science fiction narrative piece is likened to Beyoncé's "Lemonade" meets "Hamilton" meets Kraftwerk, and builds on long legacy of concept albums like Ziggy Stardust and Deltron 3030.